On Sunday, Showtime released a new teaser trailer for the revival of ‘90s art kid favorite Twin Peaks. 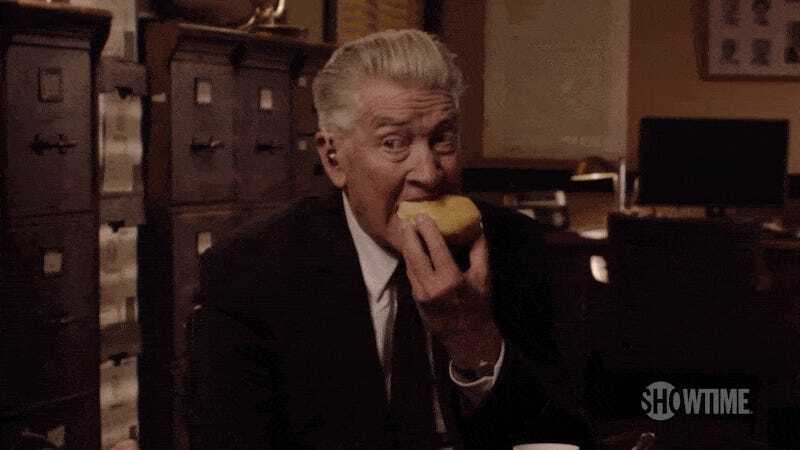 In it, creator David Lynch can be seen eating a (glazed?) donut as FBI administrator Gordon Cole and, well, that’s about it. Those hoping for a bigger peak at the upcoming season might be a bit disappointed, but the promotional campaign has followed a kind of Lynchian logic. Much like the original series, Showtime’s spots have left viewers with more questions than answers so far. Where did Cole get the donut? Was it any good? Is Cole’s entire donut-eating session, in fact, a dream? To find out, we’ll just have to wait—and argue about it in endless message board threads until then.